This calm and family-friendly beach resort is an ideal holiday destination just a few kilometres from Paralimni and bustling Ayia Napa. 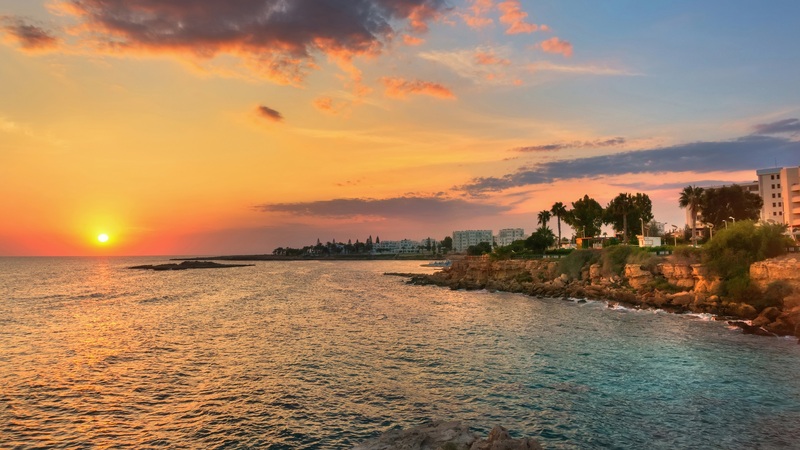 Considered as one of the most popular resort on the island, the Protaras Bay offers visitors long and beautiful sandy beaches, crystal-clear waters and a superb coastal path which extends from Fig Tree Bay to Pernera. This chapel has around 200 steps from the street and lead up to the top with a panoramic view of Protaras. The Prophet Elias Chapel has been rebuilt in 1980 and it is one of the main landmarks of the area. By visiting the chapel, which is in a 5 minutes walk from the resort, you will be able to follow the hiking trail to Konnos Beach. This exciting walk starts from the St. Elias Chapel and ends at the marvelous Konnos Bay. Hikers start off their walk by the panoramic views of the turquoise sea from the St. Elias Chapel, which is situated on the top of the hill. 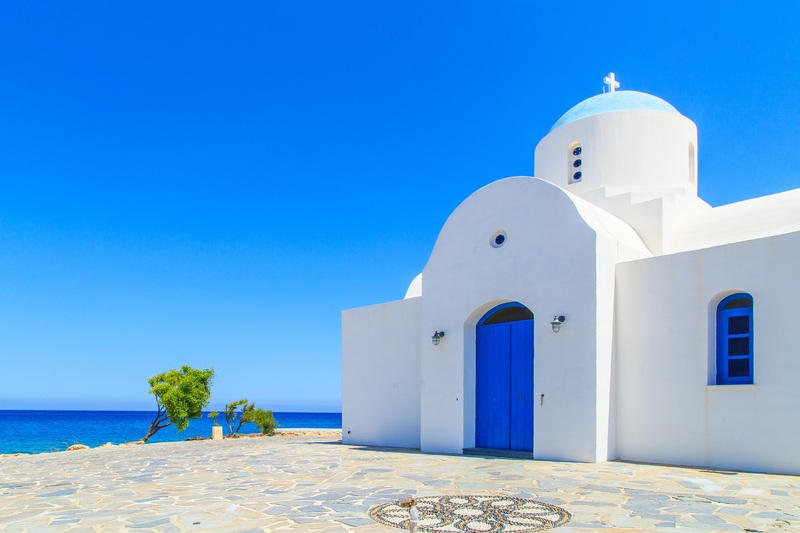 Passing through Saints Saranta and St. John Churches, while enjoying splendid views and natural beauty, before reaching the sun-kissed Konnos Bay. The picturesque chapel of Ayios Nikolaos is located next to Kalamies Beach in Protaras. The chapel is perfect for weddings, is a lovely addition to the area’s scenery at the turquoise waters and golden sand. The Protaras Ocean Aquarium is located between the town of Paralimni and Protaras area, 4.8km from St. Elias Resort. The Aquarium is home to more than 400 sea creatures and other animals like penguins, turtles, crocodiles and exotic birds. The 385-hectare cape, Cape Greko, has been proclaimed a National Forest Park because of its stunning natural beauty. Nature lovers have lots of activities to do when visiting this breath-taking park. Hiking enthusiasts can hike through the forest while admiring the sea from high cliffs. The park has many benches where you can make a stop, sit and simply enjoy the stunning views the park has to offer. The park has also cycling roads where visitors can cycle while they are exploring the area. Thanks to the island’s warm weather, visitors can enjoy cycling during each season of the year. Others choose to rent a boat and sail along the shoreline of the cape exploring its natural caves. Cape Greko is also a popular diving area, which attracts divers from all around the world who are seeking to explore the deep underwater world. 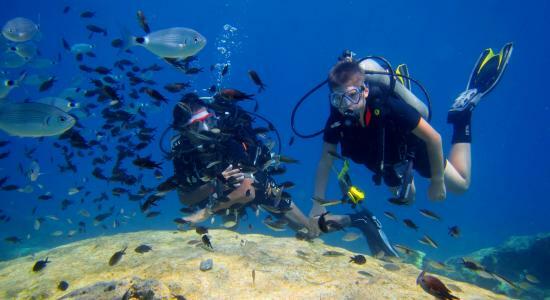 Poseidon Dive Centre is a 5 star diving centre which offers diving enthusiasts various PADI scuba diving, PADI Dive master as well as instructional scuba diving courses. Poseidon Dive Centre invites all adventure and sea lovers to learn how to dive and to discover the astonishing underwater world of Protaras. Poseidon Dive Centre aims to deliver the best possible training services to all. Your chance to have fun while learning how to dive at the same time, whether you are a beginner, amateur or an experienced diver. An amazing show which attracts all crowds who want to enjoy a fun night in the heart of Protaras. The magical show is held at the Magic Dancing Water Centre and provides a spectacular experience for both adults and children. Enjoy an amazing night show with waters dancing to the rhythm of the music spinning up to 12 meters high. Protaras attracts tourists all-year-round and is known especially for its Mediterranean golden-sand beaches and crystal clear turquoise waters. Protaras has various beaches which offer those tired of lazing in the sun to try out water sports, snorkelling and diving. Enjoy a relaxing or an adventurous beach experience in Protaras, Cyprus. 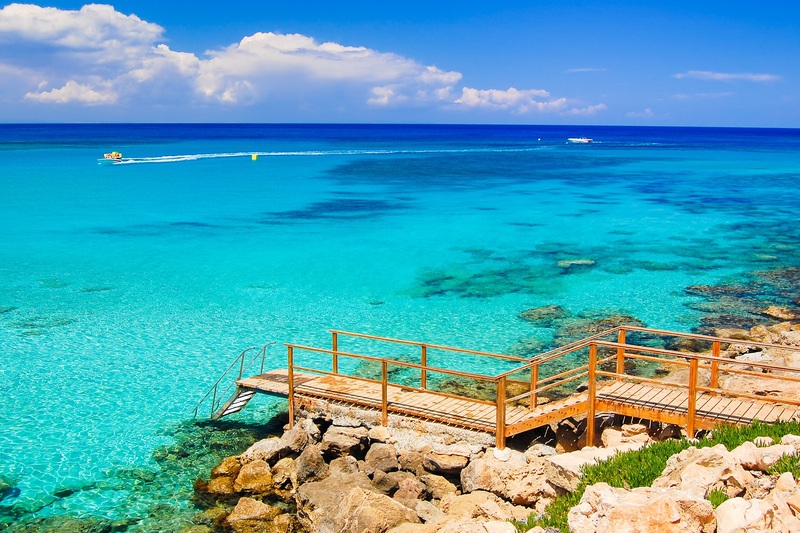 The well-known Fig Tree Bay, Konnos Bay Beach and Sunrise Beach are the main hotspots in Protaras amongst many others for all beach lovers. Nissi Beach, Landa beach and Macronissos Beach, located a short drive away in Ayia Napa, are one of the most popular beaches in the Paralimni district and well worth a visit. 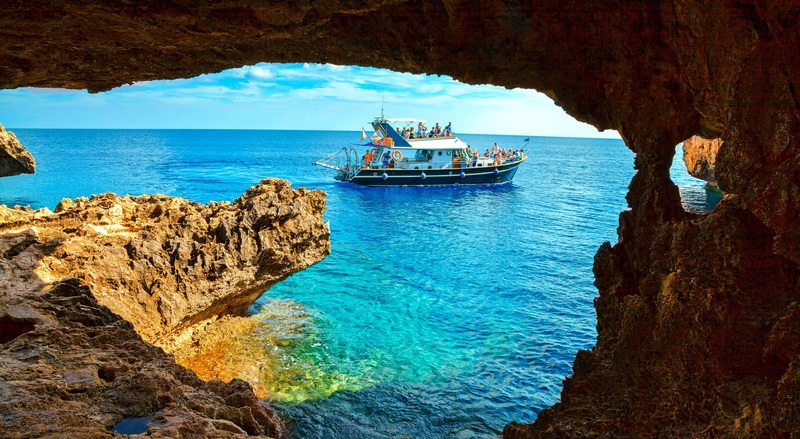 The bustling seaside areas of Protaras and Ayia Napa may be distinguished for their stunning beaches, but if you wish to draw yourself away from the comfort of the sun, there’s more to discover as you visit less explored territory. Step into tradition and culture by visiting Deryneia Folk Art Museum, which aims to illustrate a Cypriot traditional house. Also, for an amazing cultural and historical experience, it’s definitely worth stepping out of the town centres and visiting the appealing village of Avgorou. Once you reach the village, you will come across the Avgorou Folk Art Museum which is situated within a diligent renovated old farmhouse, one of the main examples of the traditional architecture of the area and marks the efforts of the local community to protect their cultural heritage. 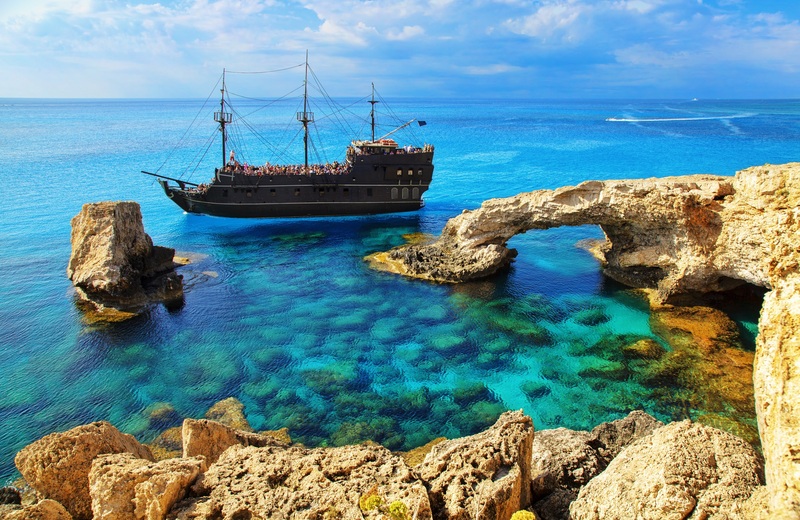 Another museum which is worth a visit is the Thalassa Museum located in Ayia Napa. The Thalassa museum gives you an insight into the history of Cyprus and its long-established relationship with nature and the sea. To learn more about Cypriot traditions, the Farm House Museum in the central square of Ayia Napa town is another great must see and add-on to your cultural sightseeing list. Besides the two restaurants, the Lemon Tree and Meze by Elliniko that the St. Elias Resort has to offer, you can also choose to have your lunch or dinner outside of the hotel. There is a variety of restaurants and bars in the Protaras area such as traditional taverns, international cuisine themed restaurants, pubs and bars. The main strip offers everyone a tantalising culinary experience. Popular Ayia Napa is situated just 15 minutes drive from the St. Elias Resort. This famous summer destination attracts tourists from all over the world and offers extensive water sports facilities and numerous beaches. 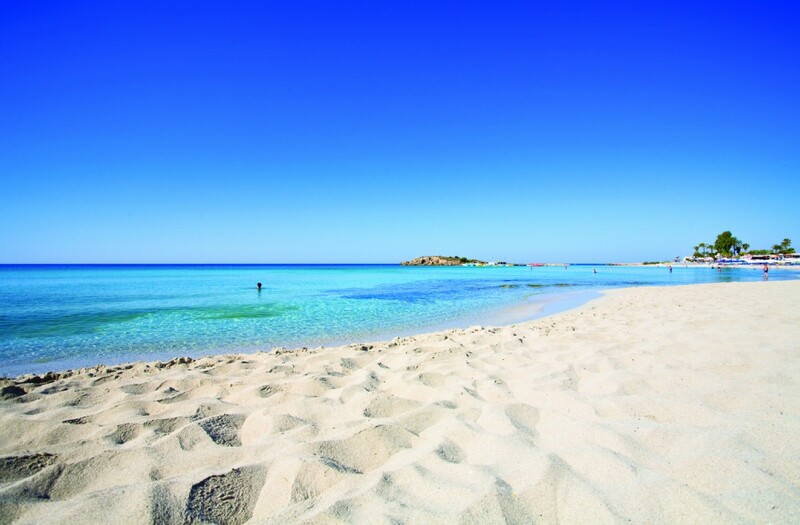 Among the most popular are Nissi Beach and Harbour Beach. Offering a clubbing and party atmosphere, the city centre of Ayia Napa bustles with restaurants, bars, night clubs and boutiques. There are also a number of sightseeing and cultural activities for all ages nearby. You can visit Ayia Napa monastery or the Marine Life and Thalassa Museum monastery. Drive to Cape Greco, just 10 minutes away, and enjoy one of the most picturesque sites on the island. Explore its caves, try your hand at cliff jumping or simply contemplate the amazing scenery.